One advantage of being the manufacturer of our outrigger pads is the ability to produce custom sizes to suit our customers needs. 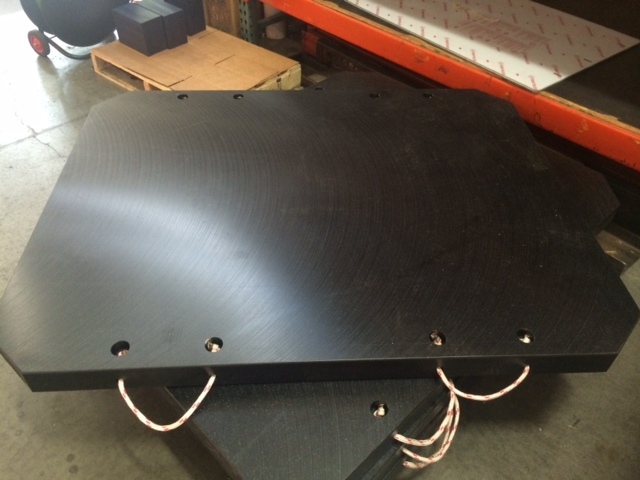 Recently we manufactured some of our biggest pads ever: 48″ x 60″ x 3″ thick outrigger pads for a large port on the U.S. Pacific Coast. 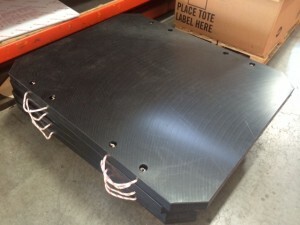 Redwood Plastics can also manufacture our pads to your specifications up to 48″ in width and can often have an order out in a few days as long as the material is in stock. Our outrigger pads do not absorb moisture, do not rot or rust and are UV-stabilized. We can manufacture them round, with handles, or no handles – we will work with you to produce the pads you need for your application. We also have anti-slip options available as many of our branches can provide an economy anti-slip surface on request, though we can also manufacture LUNS premium anti-slip outrigger pads made of a military-grade material. For more information or pricing contact us.